Taste test: These are good salt and vinegar chips. 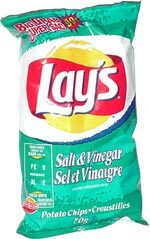 Unlike the American Lay's Salt & Vinegar, which come in a blue bag, these Canadian chips come in a teal bag. 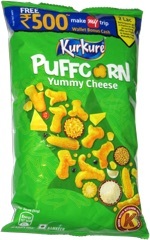 Otherwise, they seem very similar to the American Lay's, with a nice, sharp vinegar taste. These will add some zing to your lunch.